Friends of Ned Wolf Park: Most asked about plant? 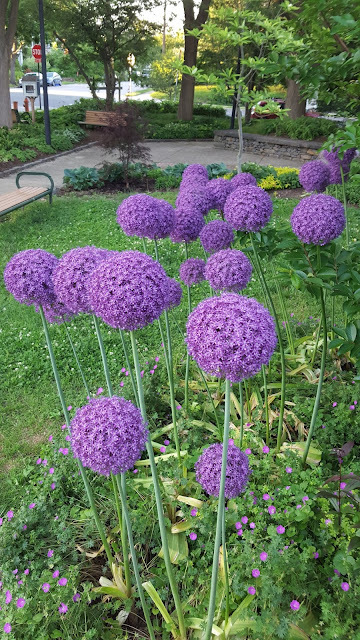 Hands down, it's Allium Ambassador! Purchased from the Van Engelen bulb catalog in 2013, we planted just 10 and they have been multiplying without diminishing in size, nearly 7" in diameter and about 54" tall.